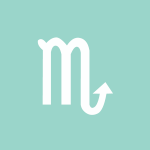 The Moon is in Scorpio until 12:29 AM, after which the Moon is in Sagittarius. The Moon is void until 12:29 AM (since yesterday at 9:59 AM). The Moon is waxing and in its Gibbous phase. The First Quarter Moon occurred on the 20th, and the Full Moon will occur on the 28th. Mars is in its pre-retrograde shadow until tomorrow, when Mars will station and turn retrograde (Mars will retrograde from June 26th to August 27th). With Venus and Jupiter forming a square aspect today, dear Aries, it would be useful to keep your normal limits in mind since circumstances can seem to encourage you to forget them! Judgment can be compromised just for now if you make decisions based on the feeling of the moment. There is a tendency to make promises or declarations that are taken as more than they are, or that you later discover you can’t (or don’t) want to fulfill. This could also be a time when you’re itching to do something different but have a hard time envisioning what it is you’d like to change. Dissatisfaction with routines, romance, creative output, or your current state can be more prominent now. In truth, you may be divided when it comes to knowing how much intensity you want from your activities or interactions. Be on the lookout for becoming misguided by your whims, and you’ll have a much better day. The Moon in your solar ninth house today encourages a more exploratory, spontaneous approach, and you can have a lot of fun with this kind of attitude. A Venus-Jupiter square today can brighten your mood, dear Taurus, but could also lead you to expect more from others or things than they can provide. This is one of the easier of the challenging aspects, but there are nevertheless some things to watch for. For one, people may be expecting a lot from you, and you may be tempted to go along with something to make everyone happy, but this can backfire. For another, you may be enabling someone, and they may be doing the same with you! Neither of these things is too serious, but it may be a good idea to keep your usual limits in mind and try not to venture too far beyond them. If possible, schedule intensive work for another day. People are prone to exaggeration today, but this can also be a beautiful time to stretch your thinking and seek out new things to do. 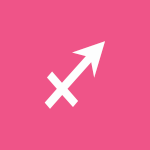 It’s also a good idea to keep in mind that Mars is about to turn retrograde, and it’s better to keep things relatively status quo with such a shift in the works. 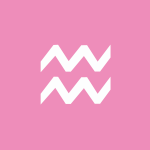 Restlessness can lead to mistakes today if you’re stuck in a routine, dear Gemini, and you could feel a little scattered or overloaded if you find you’ve taken on too much. However, you are likely to be in high spirits and ready to try something new. Keep in mind that a Venus-Jupiter square inclines you (and others) to blow things out of proportion. 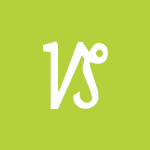 Venus is currently a guest in your communications sector, and Jupiter’s influence on Venus can lead you to believe you can do it all, and more! You may end up lining up more activities than you can reasonably manage. Alternatively, you could be reading too much into information you receive now and wasting a lot of time on something that holds little weight. Aim to take things with a grain of salt, and watch for making promises now if they’re based solely on the good mood of the moment. A good measure involves asking yourself if you’d be able to do these things on a regular day when energy levels and moods are just ordinary. 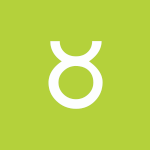 You’re especially sociable and open with others with the Moon’s move into your partnership sector. 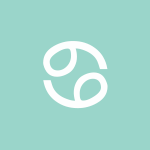 You can be feeling generous today, both with yourself and others, dear Cancer, but could be a little careless or overindulgent in the first half of the day when a Venus-Jupiter square occurs. Comfort means everything to you now, but you can also feel restless and desirous of something more than the “usual.” It’s unlikely to be a very productive morning, so if you can, try to make some time for leisure. Keep in mind that you may be overvaluing something now, mainly related to money and love. Besides these possibilities, the energies of the day could push you to try something new, even if it’s a new way to do a regular thing! This can be fun, inspiring, and instructive. As well, the Moon’s move into your sector of work and health can motivate you to take care of business as the day advances. 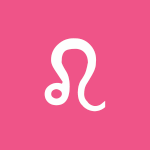 You are likely to be feeling that there is more out there for you, dear Leo, with Venus in your sign forming a square to Jupiter stirring up some restlessness, but may not yet have a plan of action. Alternatively, you may have a battle of wills with a loved one or experience a conflict of interest today, seeking some freedom from restrictions. Another possibility now is that you are in an elevated good mood, but you could also be expecting too much, and this sets you up for ups and downs. Try not to take others on that ride! You might be all geared up with good intentions to make improvements at home or with the people you love, but if things don’t run smoothly, you might lose wind quickly. Center yourself and think about what’s missing, and then consider pacing yourself as you set out to pursue it. Be kind to your future self by taking it easy today. With the Venus-Jupiter square today, dear Virgo, you could feel a little out of sorts and moody if plans are not materializing the way you’d hoped. Expansion is good, but moderation is the key to success, even if you feel like reaching for the stars. Some soul-searching is in order now. Try not to communicate prematurely about plans today. Something started too quickly may burn out in the same fashion, not only because the next few weeks are not ideal for new launches, in general, but also because there is a tendency today to become highly enthusiastic quickly without considering the practicality of your plans. You might begin a project or endeavor with enthusiasm, but chances of it taking right now are not fabulous. Of course, you can certainly make an effort and take your chances, especially if it’s something you enjoy, but try not to take on too much to the point of overwhelming yourself. Enjoy yourself, but pace yourself as you do. 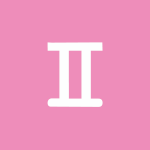 Today’s Venus-Jupiter square can be a little challenging, dear Libra, although it’s undoubtedly one of the milder of difficult aspects. This influence may stir up impatience with anything that seems dull or meaningless. While you can certainly use this energy to make changes, for now, you could be seeing things in extremes. Watch for overspending and overvaluing, in particular. A desire to impress, or merely a good mood, can have you overdoing. Have some fun, but know your limits! Be generous today, but not extravagant. If you aim to hold off on decisions now, then it’s a good time to stretch your imagination and consider new things and ideas. It’s also a fabulous time for entertaining new feelings. Jupiter in your sign is in challenging aspect to Venus, dear Scorpio, and it’s an energy that is best used for having a little fun! However, there is a tendency to want too much under this influence. You may go over the top, or you could be tempted to act entirely out of character today, which might negatively but temporarily impact your reputation. Steering clear of arrogance and exaggeration is wise now since it’s these things that can get you into hot water. Self-restraint and patience can save the day, though. In fact, this can be a great time for entertaining new feelings or for discovering new pleasures. 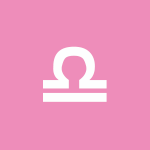 Your feelings seem a little more colorful than usual as the Moon moves into your sign today, dear Sagittarius. You are in touch with how you feel. Instead of ignoring or managing them, listen to your feelings and interpret them. You can learn a lot from your initial reactions, but be aware of an influence today that can skew your perceptions somewhat: Venus squares your ruling planet, Jupiter. Restlessness can lead to mistakes today if a plan of action is missing, which is quite likely now! You could feel overwhelmed with things to do and take care of, leaving little time to pursue your interests. You might go overboard helping someone or doing things for others, and then feel a bit frustrated that you didn’t tend to your own needs. What seems to be optimism may actually be overshooting or wishful thinking today, so take steps to avoid going over the top, particularly with promises. Your feelings are expanded today, and you may end up making more of a situation than is healthy. However, with moderation, this can be a great time to recognize areas of life that need an upgrade or refreshment. 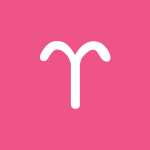 This can be a good time to enjoy yourself, stretch your mind, and discover your feelings for someone or something, dear Capricorn. Mind you, it’s important to watch for entertaining unrealistic expectations in a relationship, which does nobody any favors since it can make you or someone else feel they haven’t measured up. Restlessness stirred today can give some huge clues as to what may be missing from your life. It may be best, though, that you avoid jumping to conclusions or stretching yourself too thin. New endeavors are unlikely to “take” today. If hopes are set too high, there can be moodiness as well. The Moon’s move into your privacy sector suggests real benefits from getting extra rest or time to yourself. Venus is square Jupiter today, dear Aquarius, and while this is a happy-feeling influence, it can also encourage unrealistic expectations or biting off more than we can chew. Relationship problems may be magnified now if we’re trying to assign things more meaning, mainly because these expectations put unnecessary pressure on everyone involved. This transit has the potential of opening your heart to new experiences and possibilities, but it also seems to encourage going too far with this. The Moon moves into your social sector today, reinforcing the theme of play rather than work now. Tomorrow, Mars in your sign turns retrograde, and it’s a good idea to take things easy as the shift occurs since clarity is not at its peak. 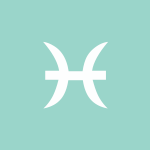 The Moon moves to the top of your solar chart today, dear Pisces, and your responsibilities assume extra importance. Today’s Venus-Jupiter square can steer you away from your priorities temporarily, however, and can challenge your concentration or commitment just for now. There can be ups and downs – you may feel inspired and ready to take on the world at times today, and overwhelmed at others. Start small, and once you’re in the rhythm, you can work your way toward bigger things, even if instincts are telling you to start big and fill in the details later! Mistakes made now are likely due to overoptimism. Be careful when it comes to what you say and what you sign, as promises made now may be challenging to keep later. With moderation, you’re in a better position to enjoy yourself. You may only need to freshen up your mood with a change of pace or scenery. Above are astrological event highlights for the day. Full Horoscopes are at Cafe Astrology. 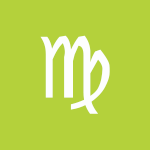 If Your Birthday is June 25th, If Today is Your Birthday full horoscope here. Sabian Symbol: An automobile wrecked by a train. We can experience pressure to decide or come to a conclusion. Second-guessing and suspicion are possible now. You are very intuitive. You rely on your emotions to guide your opinions and thoughts. You are an empathetic listener and are keen to keep up communications with your family and loved ones. Cnj 20°Cn29 CASTOR To write or create. Sun 29° Aries 43' 07"
Moon 07° Scorpio 57' 08"
Mercury 03° Aries 35' 32"
Venus 29° Pisces 17' 07"
Mars 13° Gemini 03' 23"
Uranus 02° Taurus 21' 46"
Neptune 17° Pisces 43' 01"
Chiron 03° Aries 28' 33"